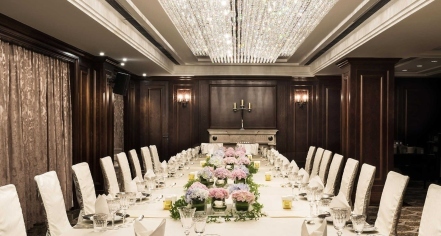 Begin happily ever after at the Fairmont Peace Hotel in style and grandeur. Expert wedding specialists are available to plan down to the last detail and turn dreams into reality. 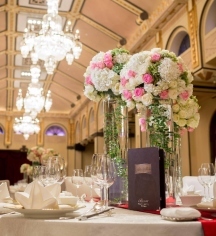 Years of experience in the wedding business in one of the most beautiful, well-known, and sought-after locations in Shanghai is a recipe for a flawless wedding. There are several iconic venues at the hotel, each beautifully designed with Art Deco elements, high ceilings, lavish furnishings, and classic architecture. Say “I do” at the Rooftop Terrace or party down in the Peace Hall. Wedding and honeymoon packages are available.